Bloc Party are an indie rock band which formed in 1999 in London, England. The band currently consists of Kele Okereke (vocals, guitar), Russell Lissack (guitar), Justin Harris (bass, vocals) and Louise Bartle (drums, vocals). The band has released five albums: "Silent Alarm" (2005), "A Weekend in the City" (2007), "Intimacy" (2008), "Four" (2012) and "Hymns" (2016). 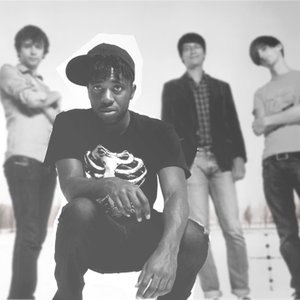 Bloc Party have been together since 1999, with names such as Superheroes of BMX, The Angel Range, Diet, and Union, before settling on Bloc Party in September 2003.